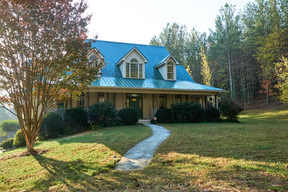 6519 Haystack Dobson, NC. 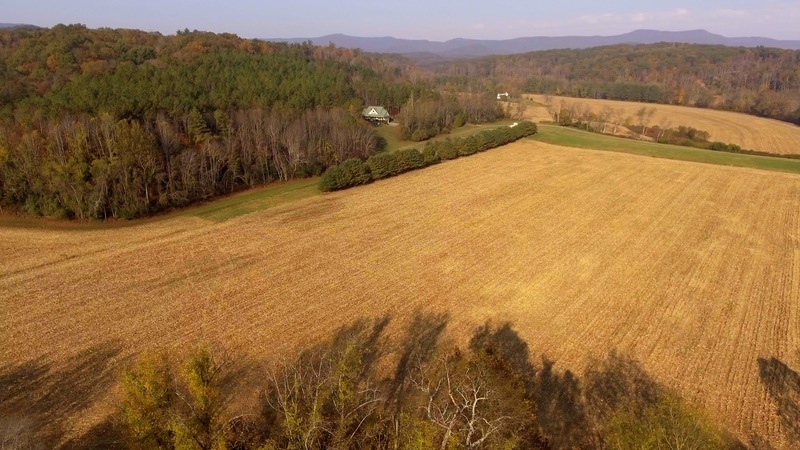 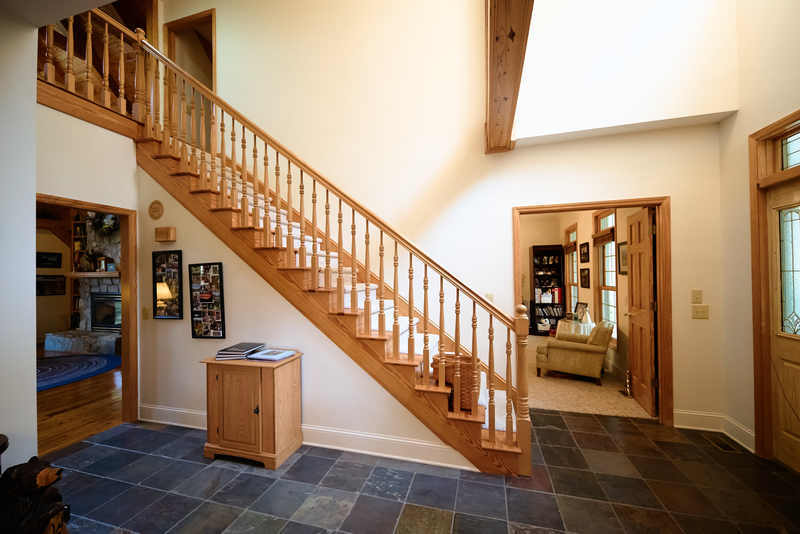 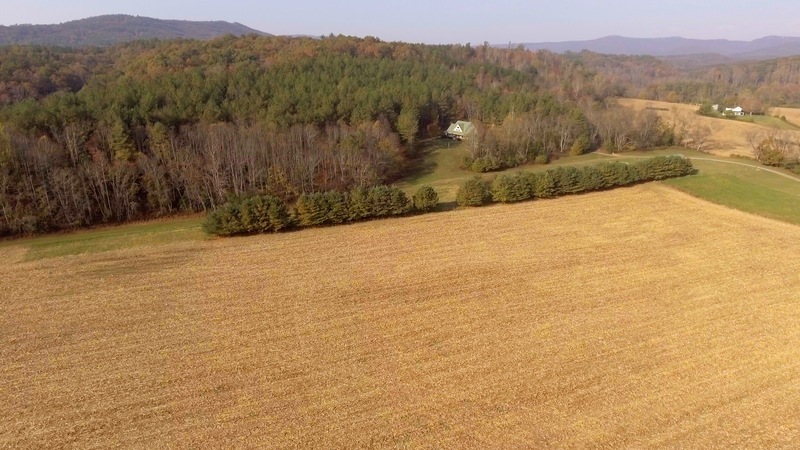 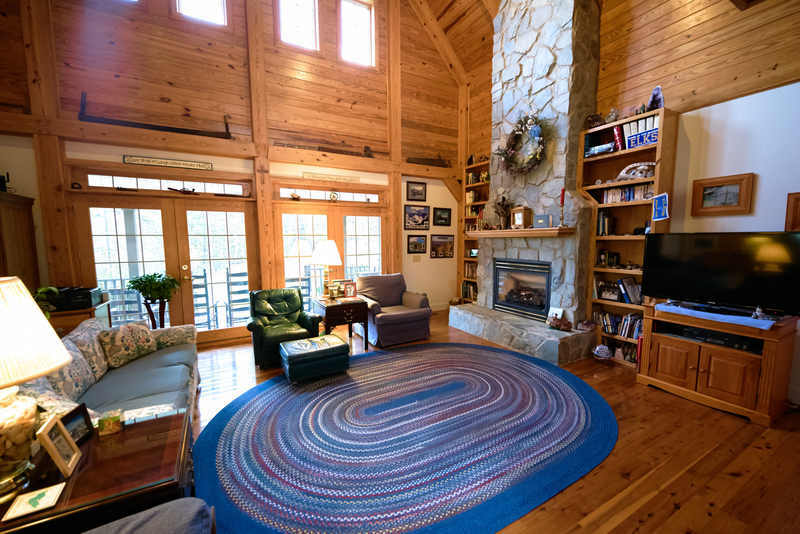 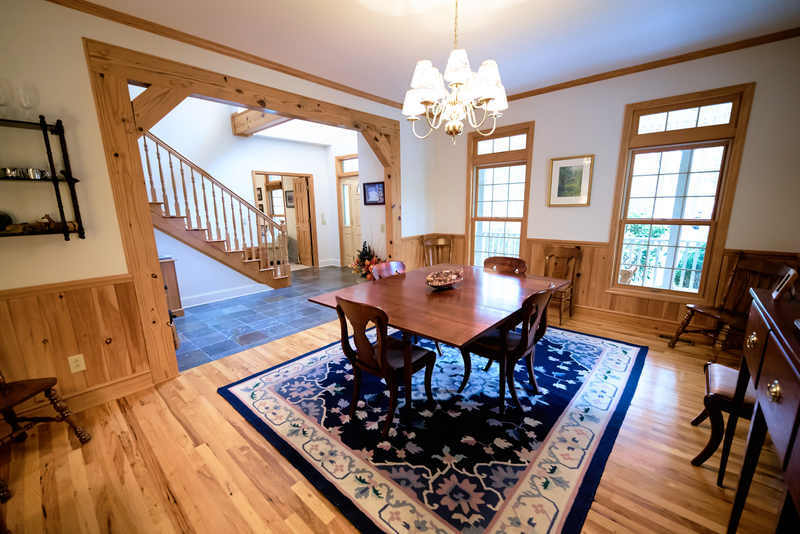 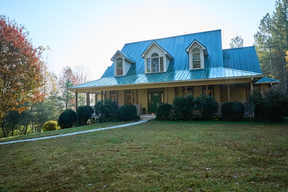 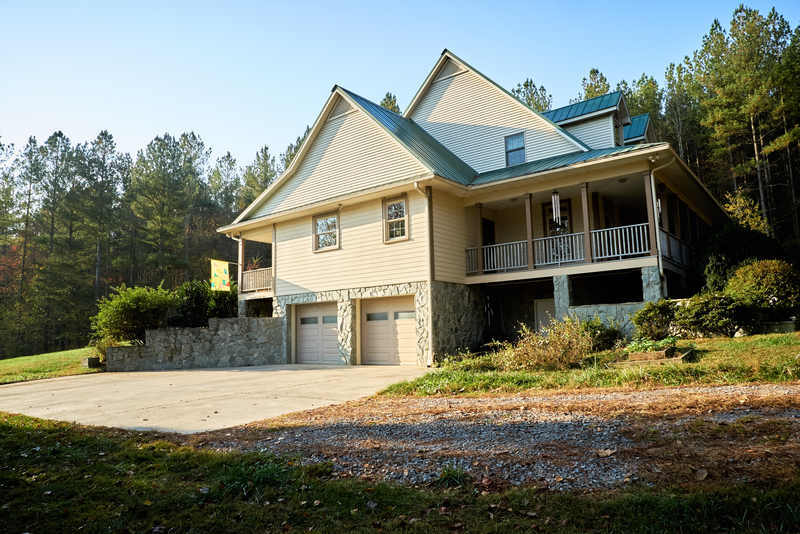 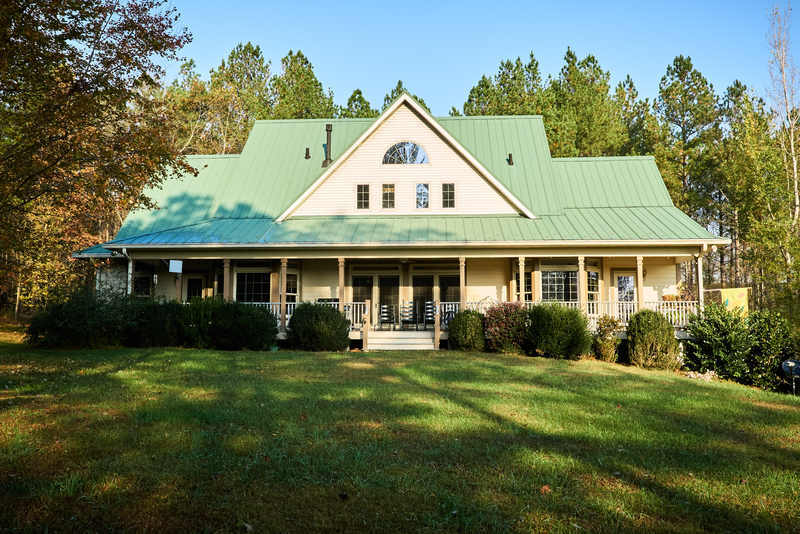 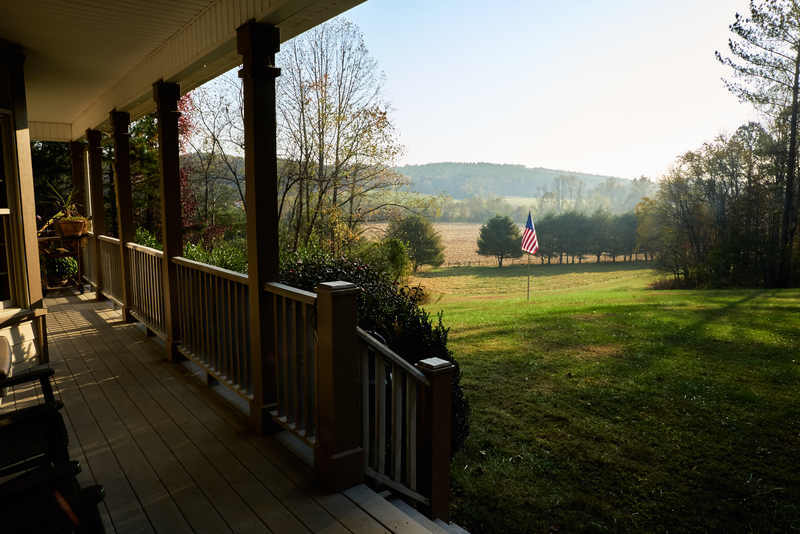 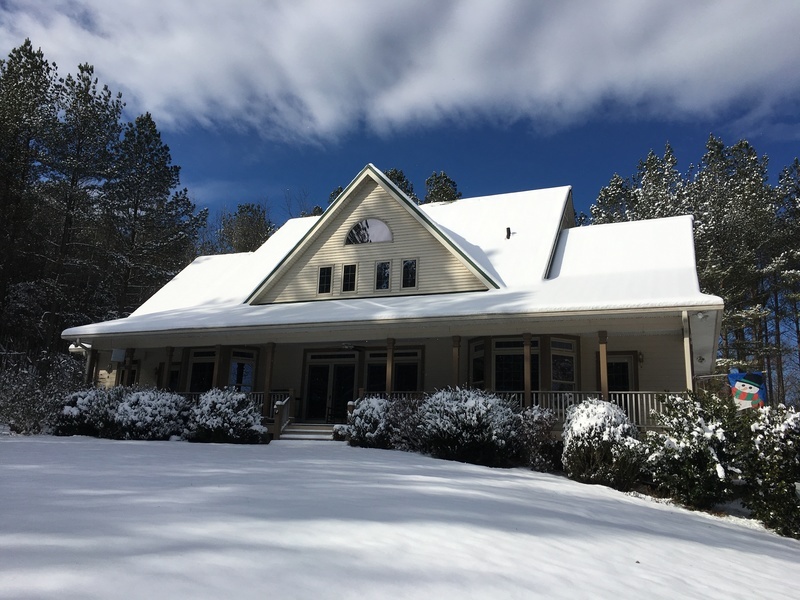 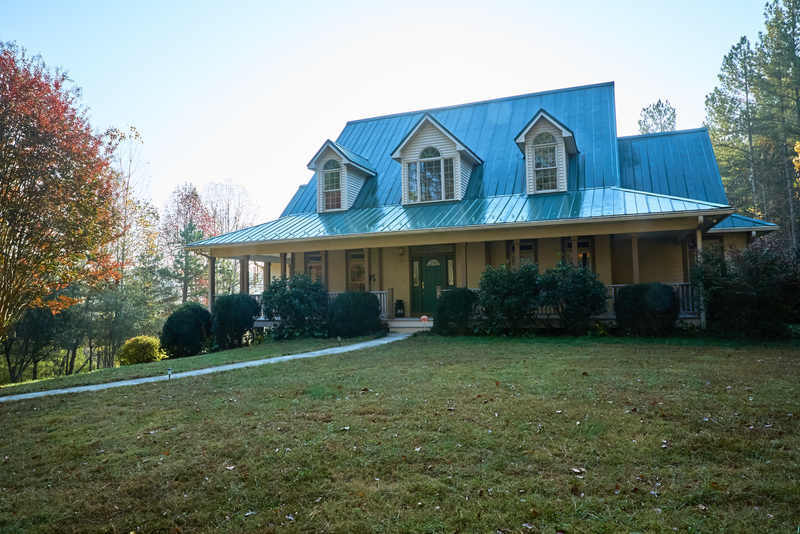 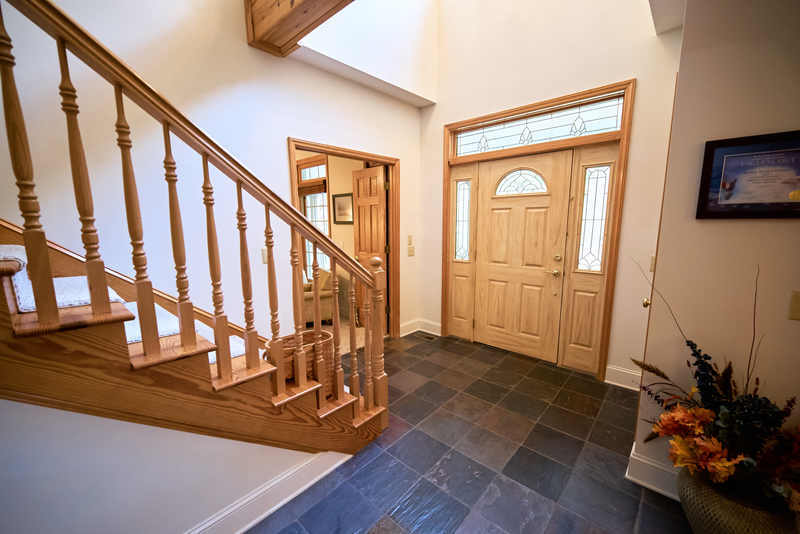 | MLS# 830083 | North Carolina Farm and Vineyard Specialist Patria Properties Inc.
2001 Custom Built Timber Frame Home 5br 4 baths. with 2x6 insulated walls, metal roof and a rock wall gas fireplace on 100 acres. 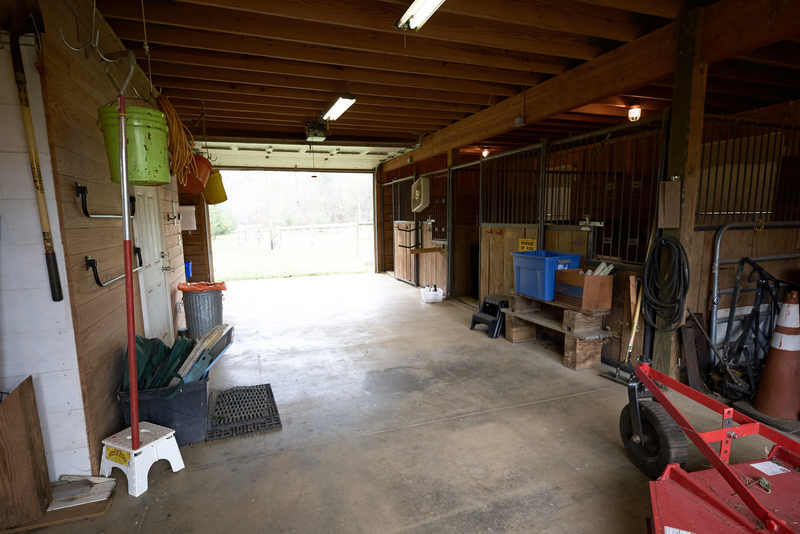 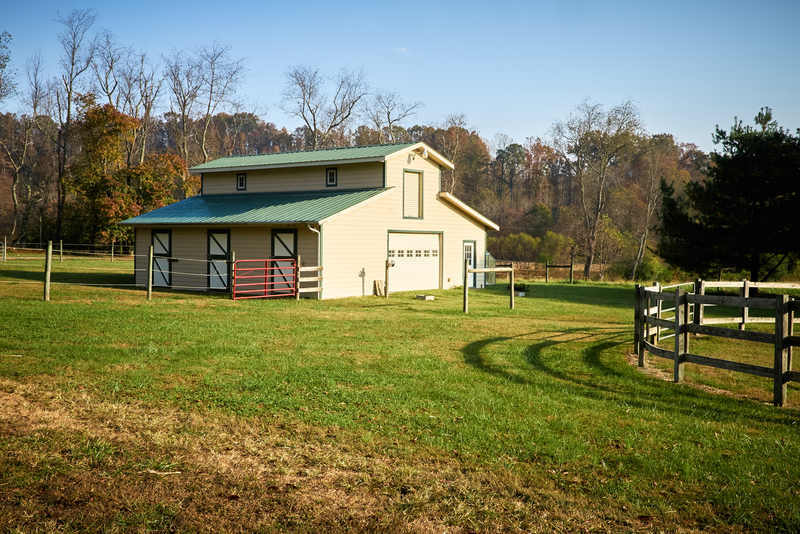 3 stall 36x36’ lofted horse barn with tack room and wash bay, water and electric and wash sink. 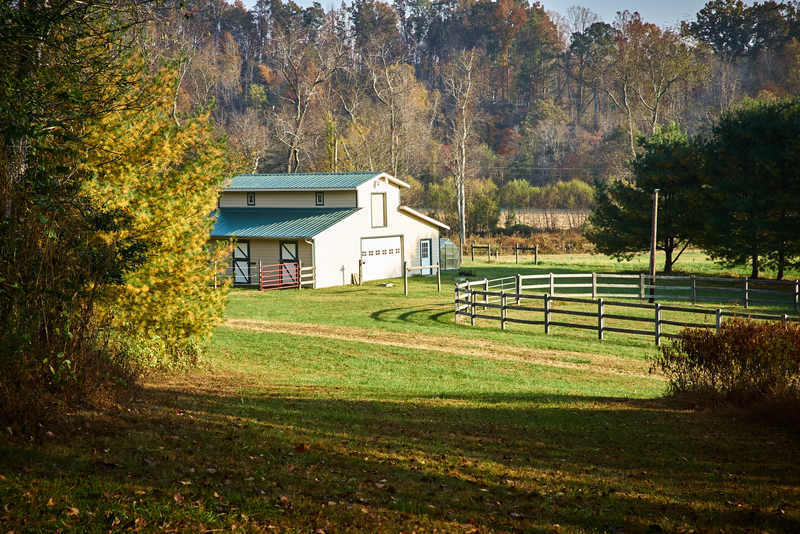 120x65 lighted riding corral built in 2005. 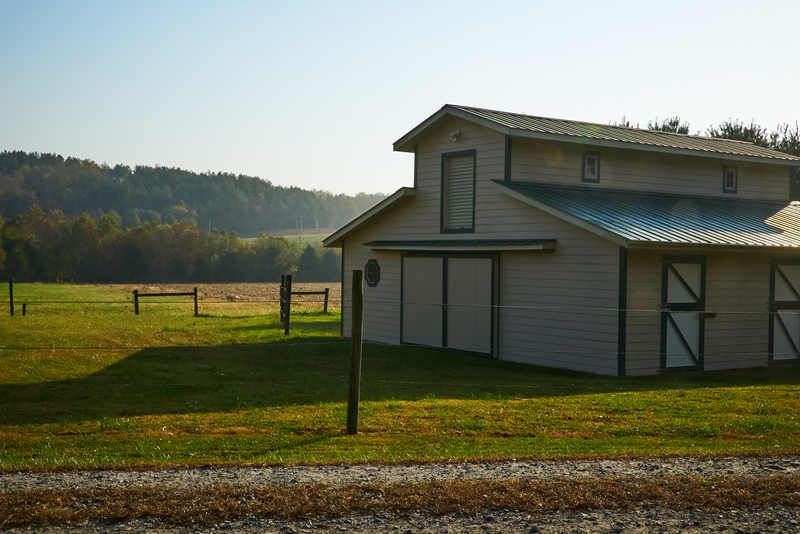 Storage building 30x40’ with concrete floor, shop with electricity, two large roll up doors, entrance door and sky light. 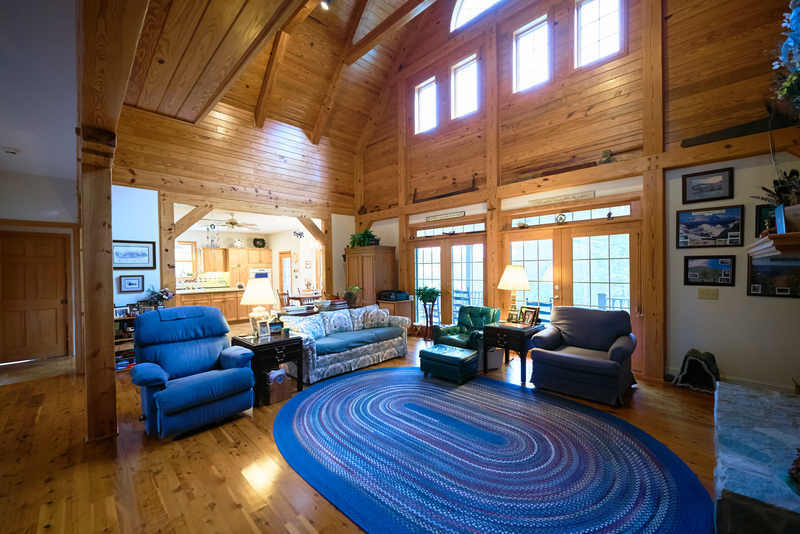 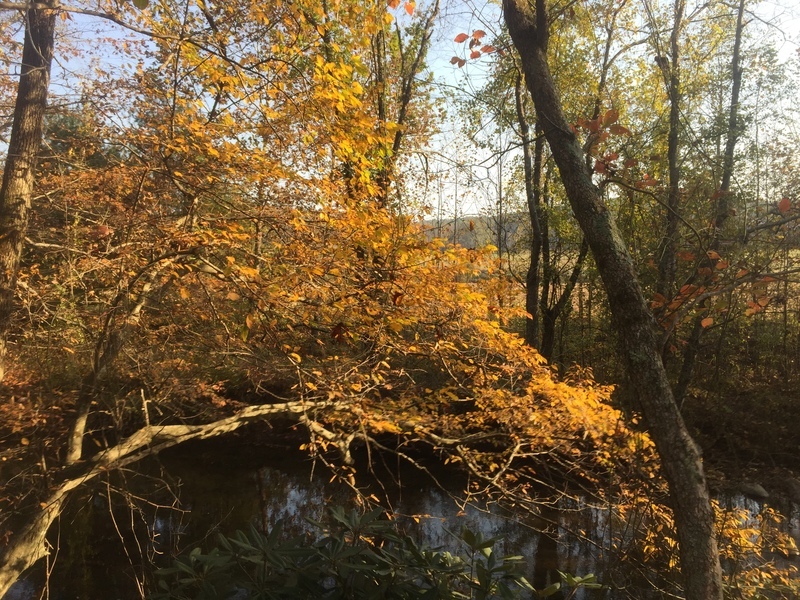 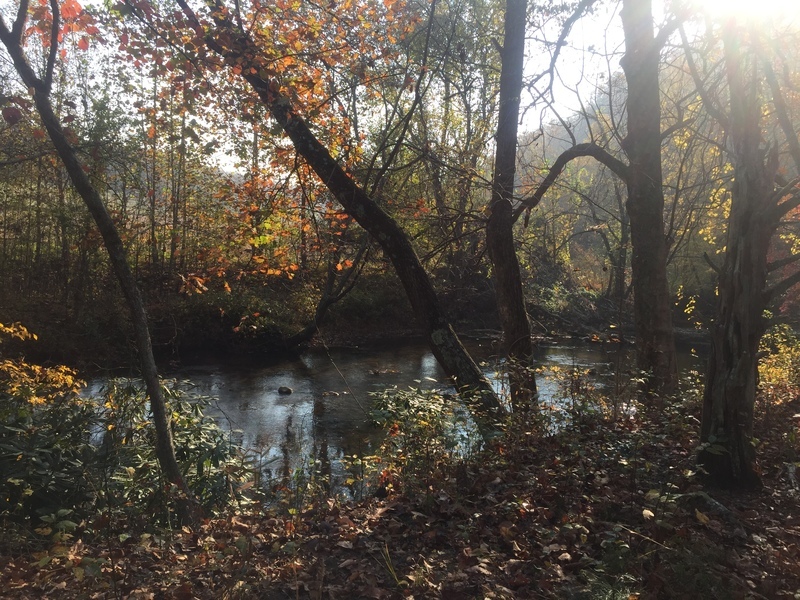 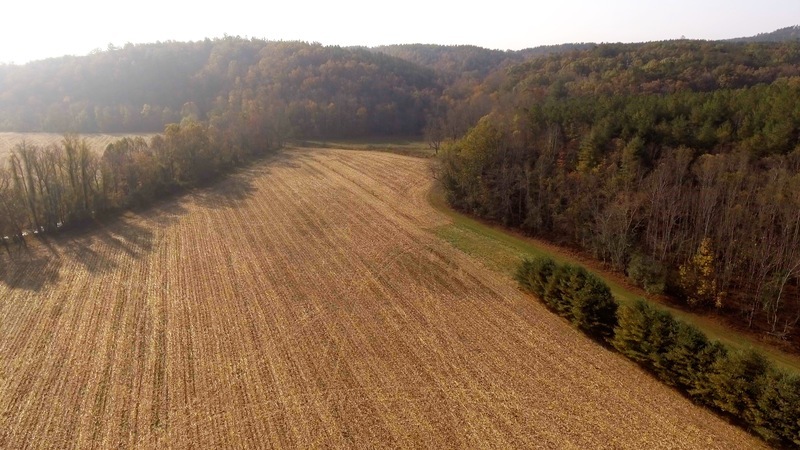 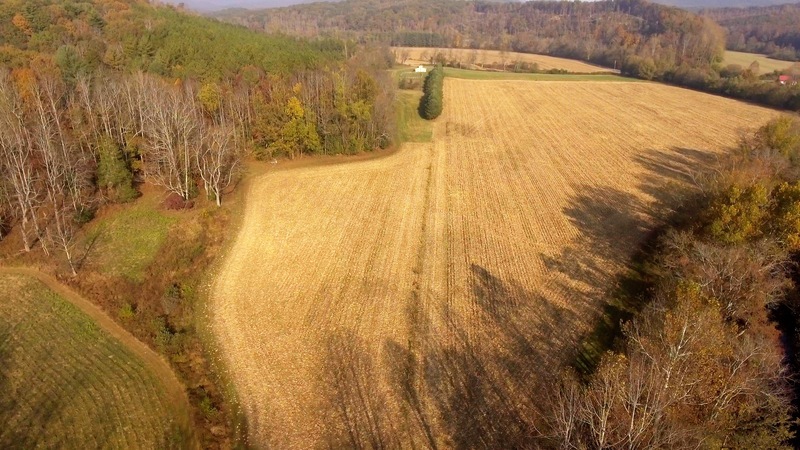 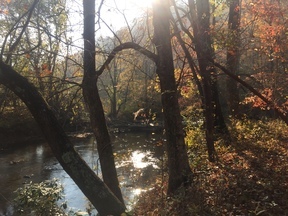 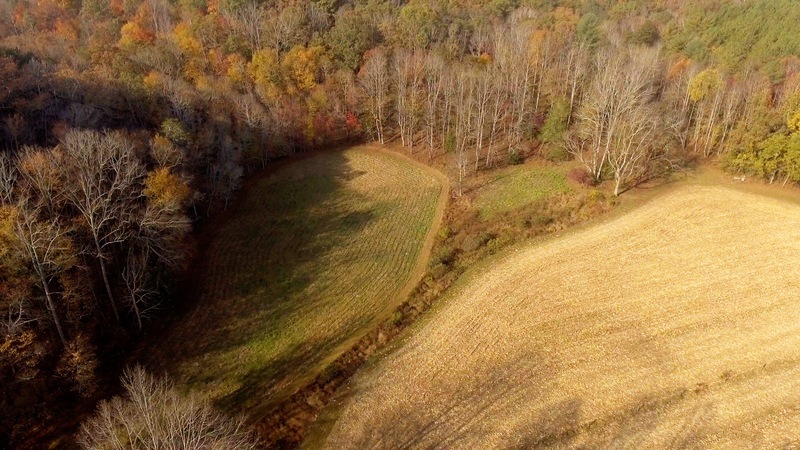 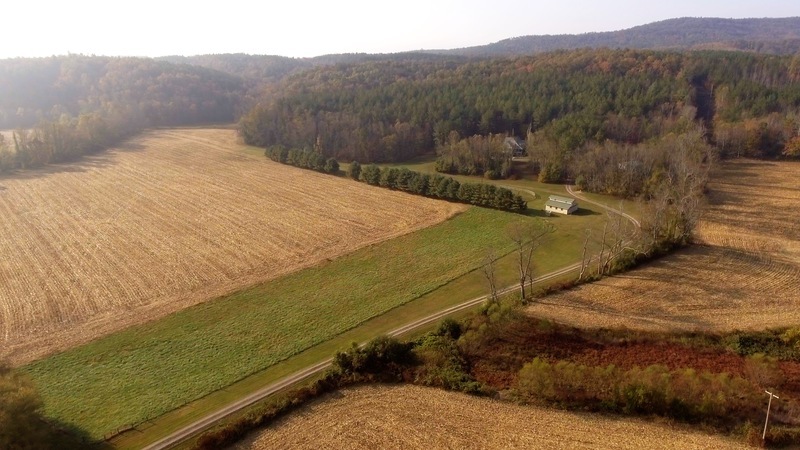 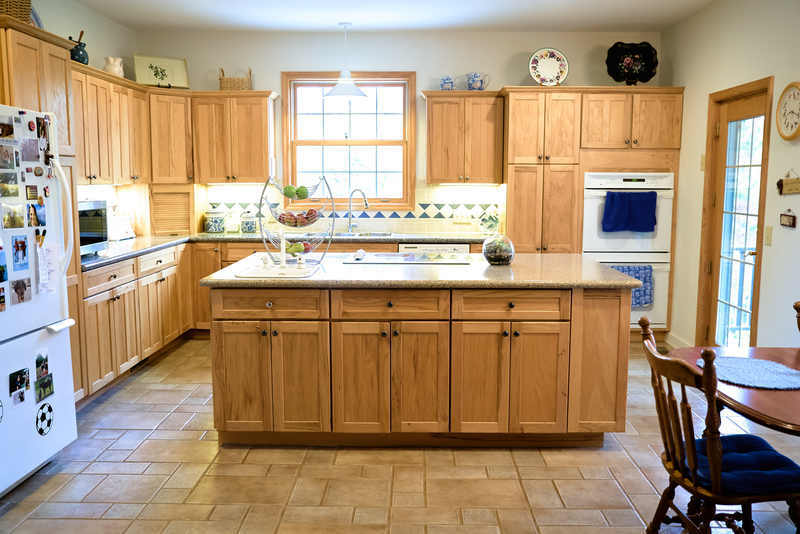 This property also has 1.3 miles of river frontage on both sides of the Mitchell River. 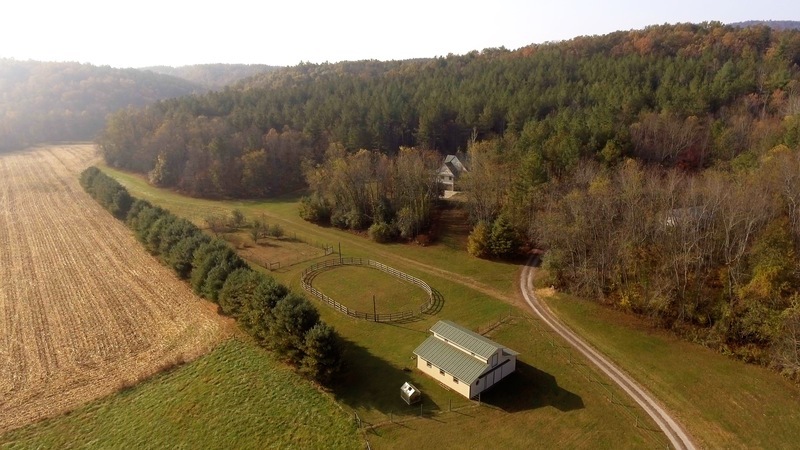 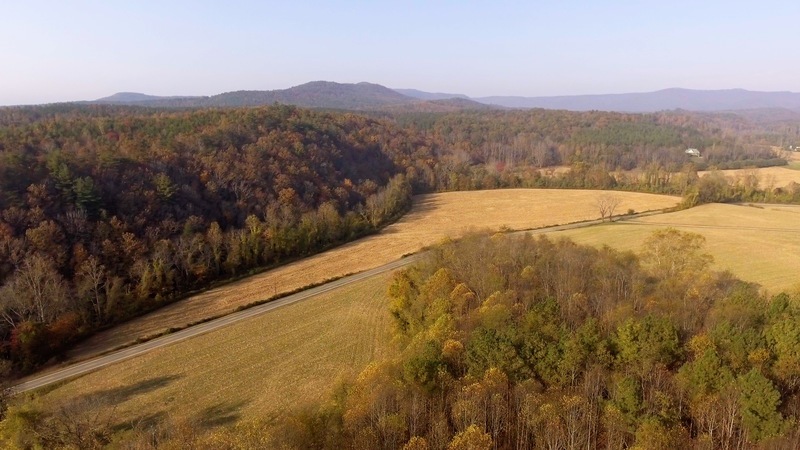 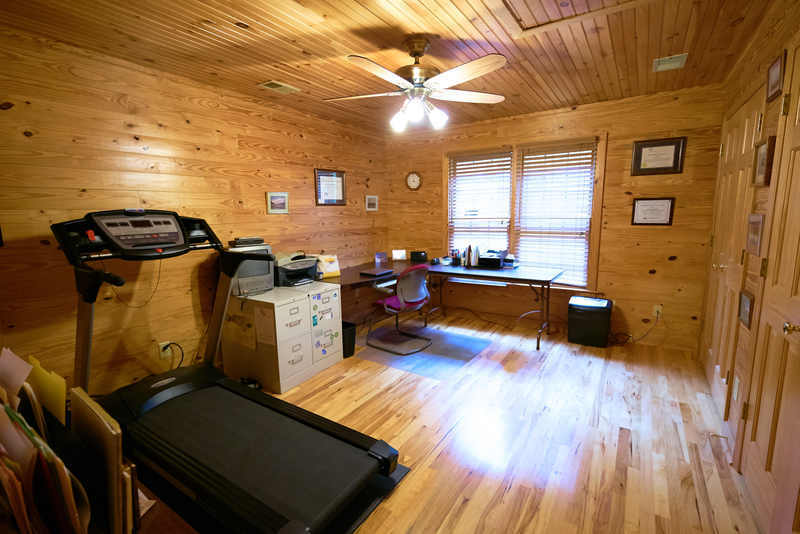 It has 3 miles of private riding/hiking trails and backs up to 2400 acres of public game lands with an additional 12 miles of trails. It is bordered by 2 vineyards and a 10 acre black truffle farm. 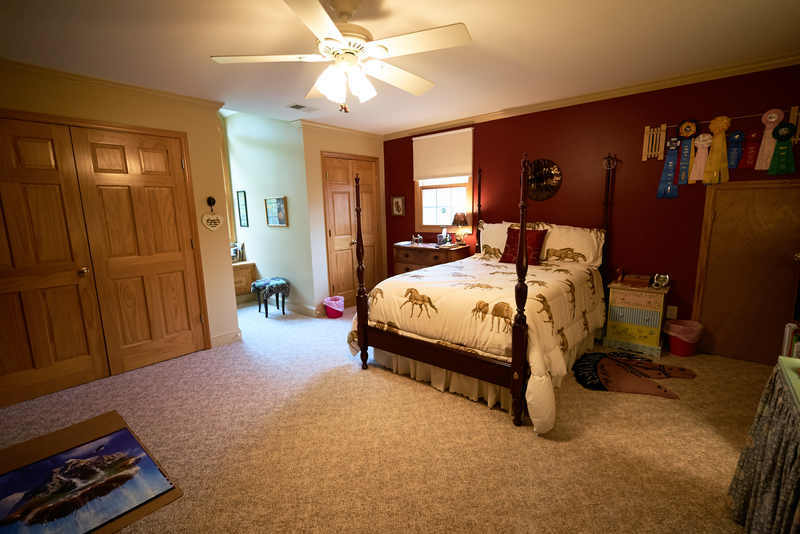 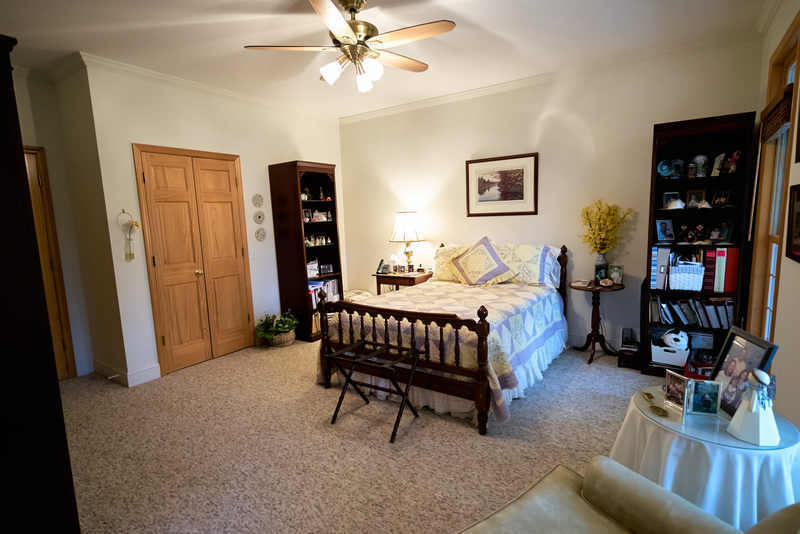 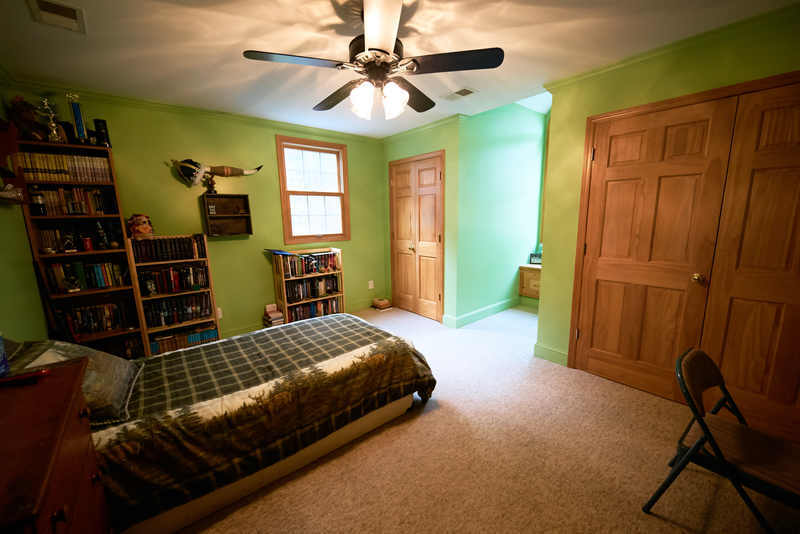 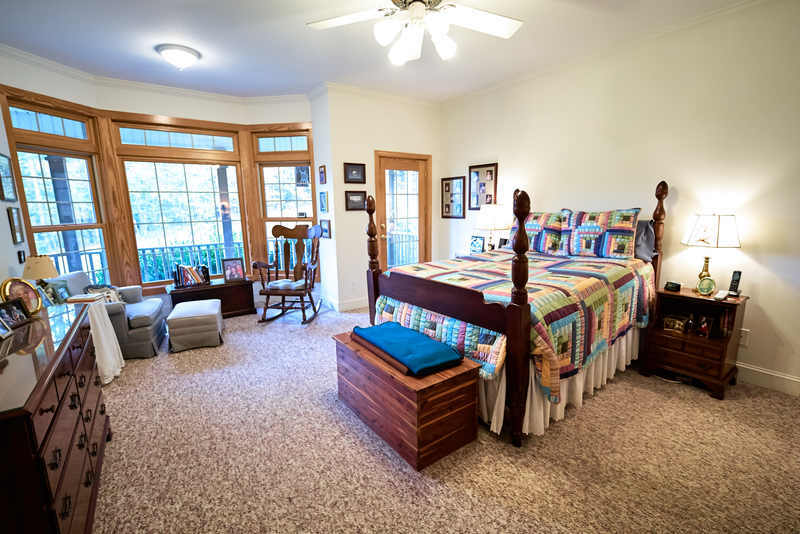 Master bedroom is on the main level with whirlpool tub, shower, walk-in closet and walk in cedar closet. 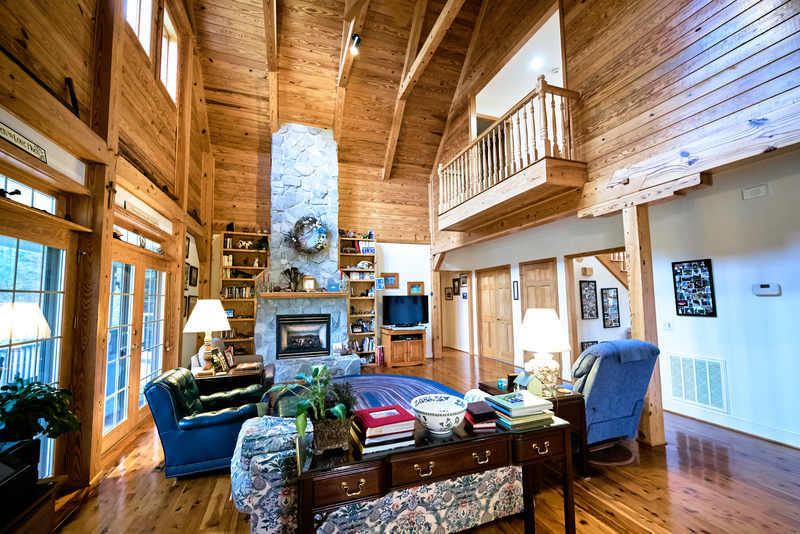 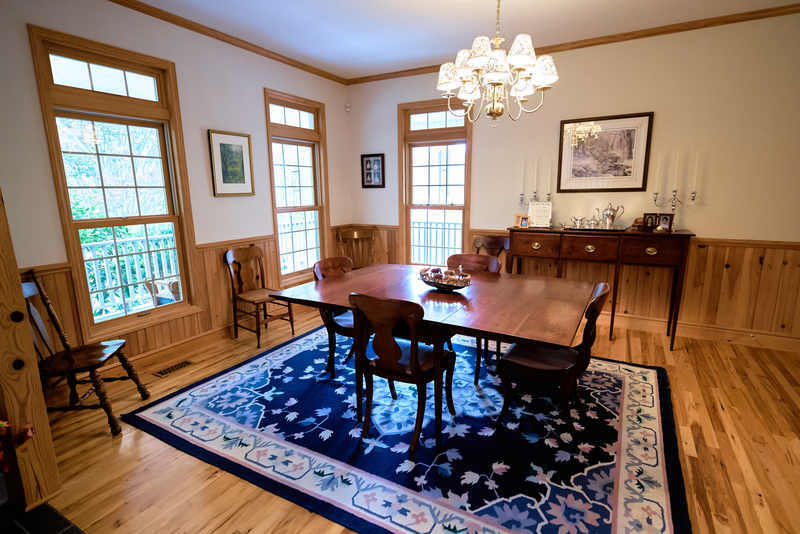 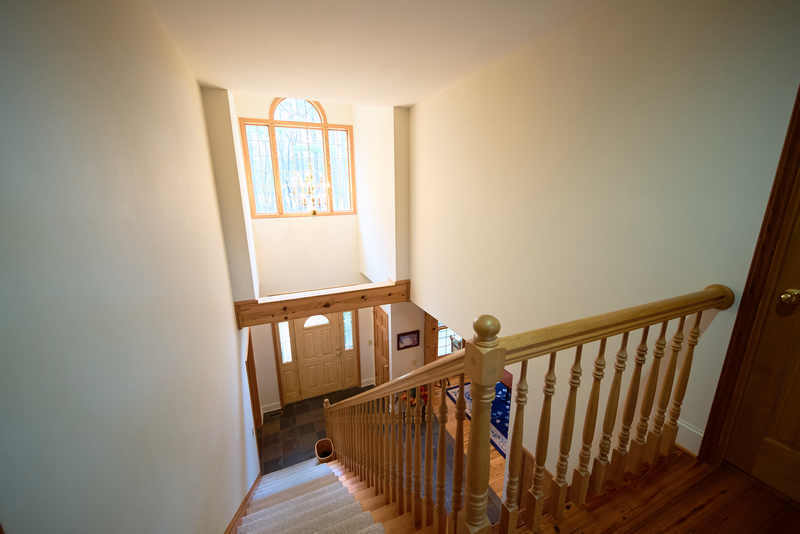 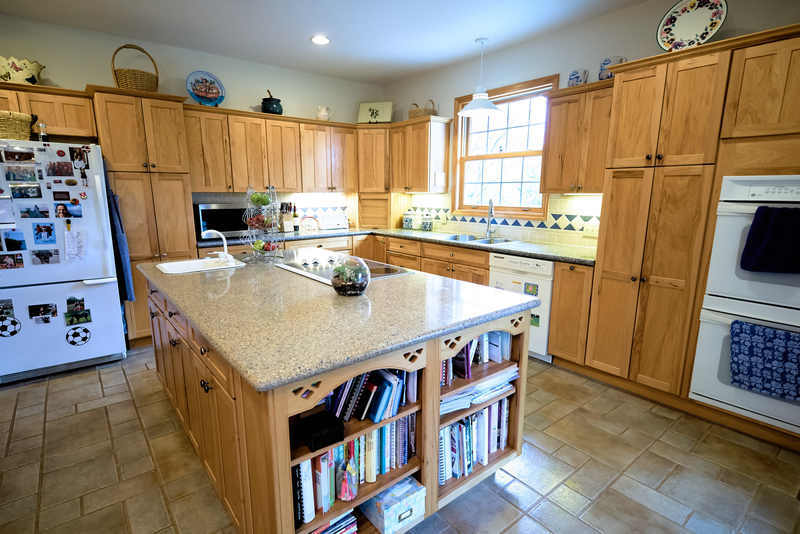 2357 sq ft first floor w/9 ft ceilings, open loft timbered great room and gourmet kitchen. 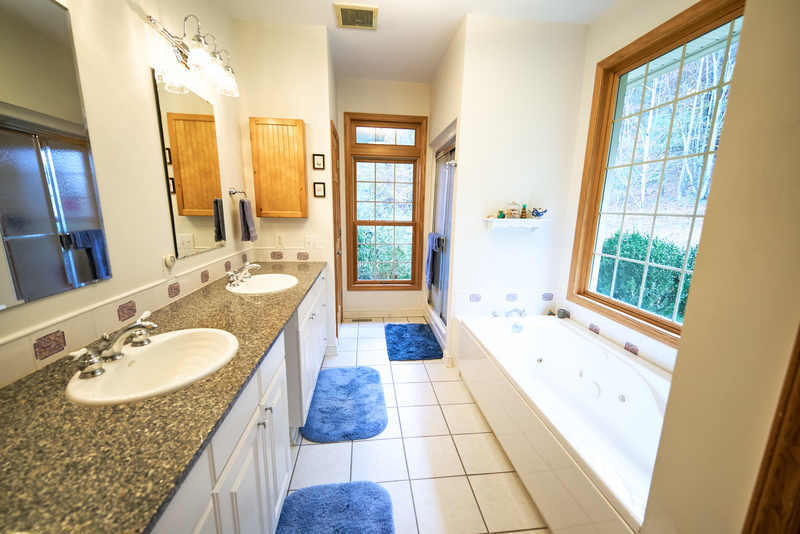 995 sq ft second floor with 3 br/2ba. 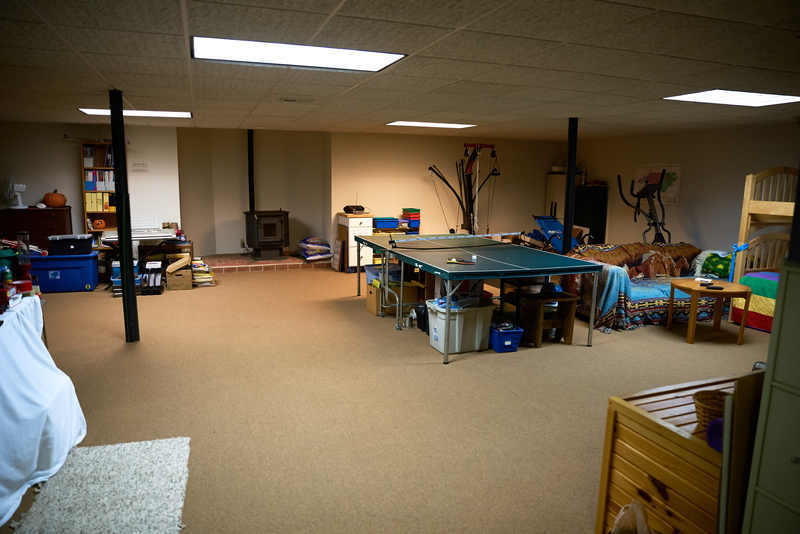 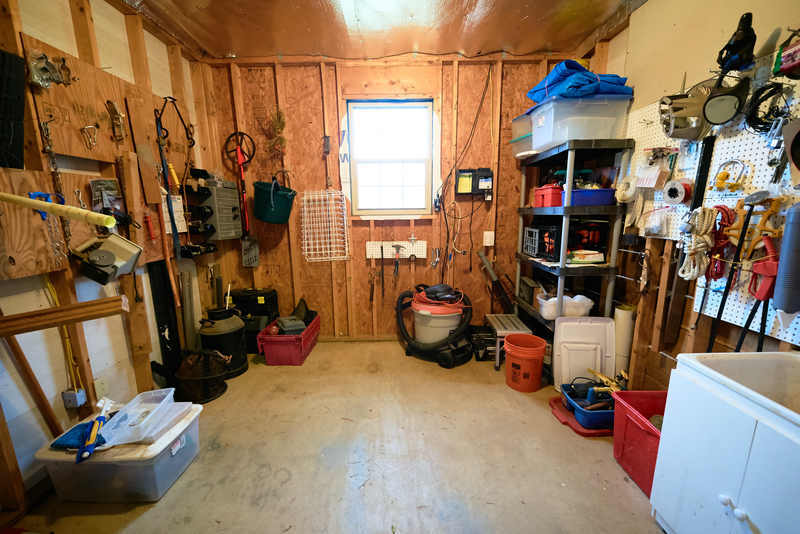 1211 sq ft heated/ac basement with two closets (one plumbed for potential 1/2 bath). 590 sq ft garage w/ two 7 1/2 ft entry doors Large utility room for bike storage etc If you want to own your own mountain, kayak and fly fish in your own river, if you want to saddle up and ride 14 miles without having to drive anywhere, this a is a rare and unique opportunity. 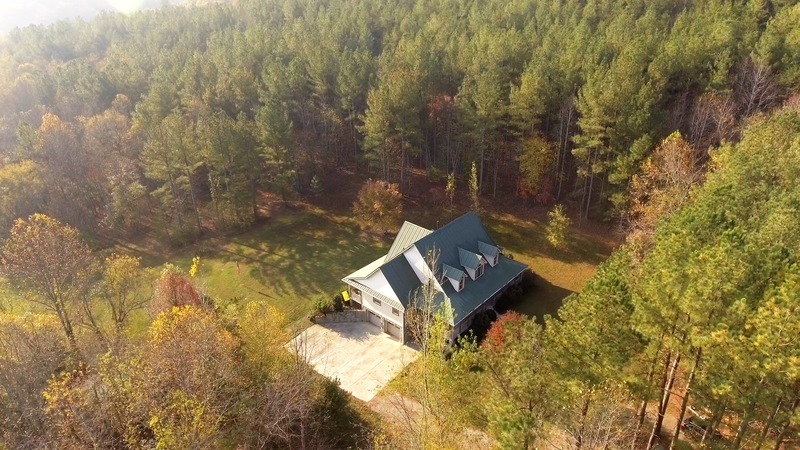 Great location to raise a family.